Coloring Hair While Pregnant - Is it Safe? Women who have found out that they are pregnant wan to be in the best health possible so that their babies will be born healthy and strong. They want to know what is safe and what is not. they ask themselves questions that they didn't have to ask before. Such as: "Should I color my hair while pregnant?" The somewhat limited evidence that research has made available suggests that it is probably safe to color hair during pregnancy. The Organization of Teratology Information Services (commonly known as OTIS), which researches and provides information on potential reproductive harms, states that animal studies are reassuring and that there are no reports of hair color having adverse effects on human pregnancies. 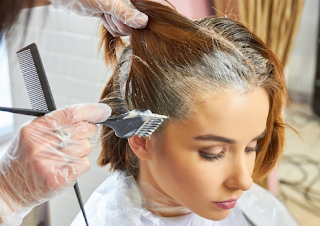 Many women have colored their hair during pregnancy, and OTIS points out that very little of the chemicals in hair colorants are actually absorbed into one's system. That being said, if you're still concerned, consider waiting to color your hair until your second trimester, when your developing fetus is less vulnerable. 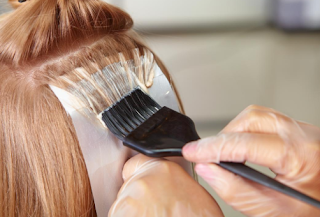 In addition, instead of using all-over hair color, consider a process like highlighting, streaking, painting, or frosting, in which the chemicals have little or no contact with your skin. Any hair-coloring agents absorbed into your body would come through your skin, not through the hair shaft itself. It is best when getting hair colored, to do it where there is plenty of ventilation. As an additional safety precaution, you may use nonpermanent color or henna colors as well. But remember that these don't last as long and are sometimes, in the case of henna treatments, harder to use. Women and men of all ages color their hair for a number of different reasons. Some want to color gray hairs while others are simply looking for a change. Whatever your reason is for coloring your locks, there are several hair-coloring techniques available to consider. When you understand the benefits of each technique, you can make a better decision as to which one will suit you the best. It is vital for women to feel good about themselves during pregnancy. 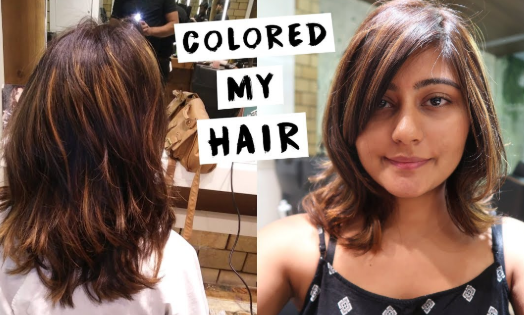 Whether coloring your hair will make you feel more confident, or cause you to fret needlessly for nine months is something that you have to think about. If you decide to color your own hair, wear gloves and do it in a well-ventilated area to decrease your exposure to the chemicals used in the dying process. Remember not to leave the dye on longer than necessary, and completely rinse your scalp at the end of the Coloring Hair While Pregnant process.